Made initially for my very own car, here we have the fuel pump clamp ring. 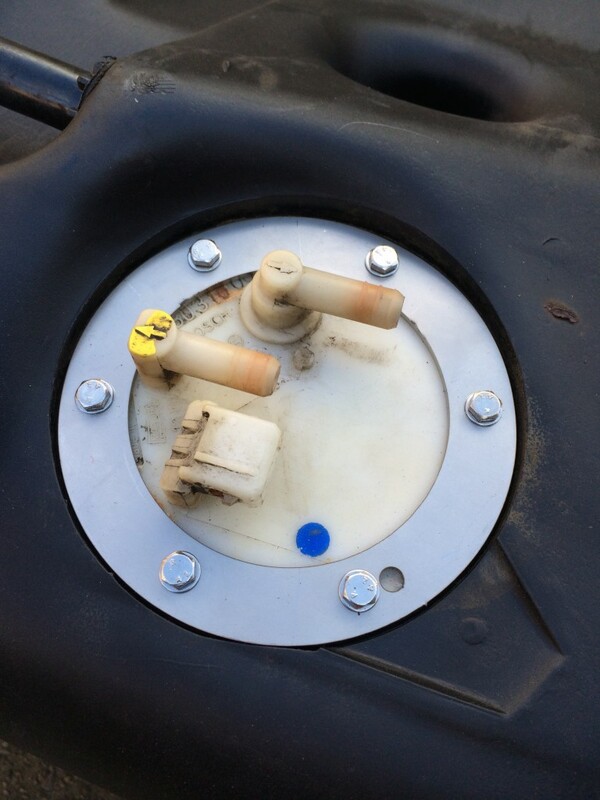 The standard item is plated steel, however it’s location on top of the fuel tank means that it can and does corrode over time. When restoring my own car I decided that rather than the time consuming process of blasting and having the mild steel item re-plated, it would be nice to make a stainless steel item and fix it with stainless bolts and washers. So now available for sale is the fuel pump clamp ring kit which comes complete with 6 off bolts and washers to suit all years of 205 GTI. Price £12.50 posted in the UK.